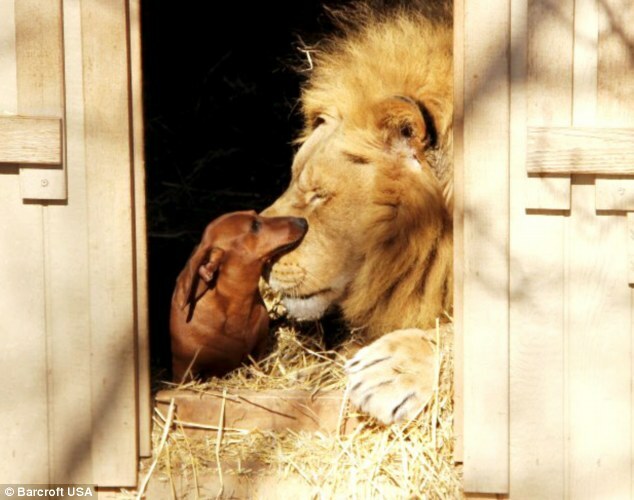 Gain Sense: Dachshunds are Cool! Usually, in the case of Dachshunds, none of these tactics work. They'll remain still for eternity if that's what it takes. The only solution, I've found, is to go over to them, hoist them up, and carry them the rest of the way home. I can't tell you how many times I've had to do this for the dog (named Sally) you see above on the left. It isn't very fun, let me tell ya, because she's always been extremely heavy (I think she's naturally fatter than 90% of Dachshunds), which becomes an issue when she boulderizes herself a mile away from home. Yep, Dachshunds are stubborn, bi-polar freaks. Another example of this is that, as far as I can tell, they are one of the only kinds of small dogs that will absolutely positively try to kill you if you try to pick them up when they don't want to be moved. See, it's OK when they're in boulder form because they're tired and can't fight back, but any other time you want to move a Dachshund it's like playing a game of oblong shaped Russian Roulette. I mean, your dog could look perfectly happy, and you'll think to yourself "oh look how calm she is I can totally pick her up now!" You move closer. Your dog looks up at you, expectantly. As your hand approaches, their long face twitches ever so slightly, you think you see a tinge of madness but continue anyways. Once your hand is about an inch away, you see their skin bristle, their eyes crazily rolling around back and forth, teeth bared. Here, you have a choice. You can either risk getting bitten, or back away and try a different tactic. As an experienced Dachshund owner, I know how to pick mine up in a way where my hands are in the exact places their mouths can't reach. That being said, it took many bites to get there (I have the scars to prove it). The funny thing about Dachshunds is that there's no middle ground, it's either they want to kill you, or they'll smile at you as you pick them up and try to lick your face. Indeed, Dachshunds are a bit psycho. They're like those crazy people you see in bars or bus stations, staring everybody down. You're fine as long as you don't meet their gaze, but if you do, it's all over. Moral of the story: never have a staring contest with your Dachshund. They are pre-programmed to start growling at you if you stare at them for around five seconds. At ten seconds, they show their teeth and growl more ferociously. Soon after that, if you're still staring (bad life choice there), they either lunge at you or begin barking incessantly in your general direction. Really, whether it's the former or latter depends on their age. The older your Dachshund is the more they'll rely on their bark and not their bite. Which is good, seeing as both of mine are elderly, and thus I now stare at them for fun as a way of mocking their inability to chase me around the house like they used to. This sort of behavior extends to their interactions with other dogs as well. Dachshunds NEVER feel like they are at the disadvantage. If you pitted one against two Pit Bulls, they'd probably still feel like they had the upper hand. This is why, when you take a Dachshund on a walk, you'll need to keep them on a short leash. Let up your grip for a second and they'll rush to do battle with the nearest German Shepherd. For example, one time while on a walk, we saw an approaching Mastiff (and his owner). Fearing our Dachshund's wrath, we picked him up so that he wouldn't charge at the approaching giant. The Mastiff's owner seemed offended, saying that their dog "would never do anything." He remained puzzled until we explained that we feared for his dog's safety, not the other way around! (Oh, and if you need more proof that Dachshunds are overconfident to a fault, check this picture out). Dachshunds are clever. They aren't the smartest of breeds (my Miniature Schnauzer would probably score higher on an IQ test), but their brainpower is nothing to scoff at. For instance, they're quite good at hiding toys and bones in strange places, like your shoe, or laundry basket (unfortunately they usually don't remember that they did this so you'll probably find lots of randomly placed objects). Additionally, they seem to have the ability to actually speak some sort of alien language that I haven't heard from other types of dogs. Of course, all of these are used in different contexts. The growl usually happens when I stare at her, or try to steal a toy. The bark will happen when she's begging or annoyed at something. The voice happens only in specific occasions, usually when she runs into some sort of impasse with my crazed Miniature Schnauzer. If he does something wrong, Sally stops everything she's doing, get's all in his face, and starts using the voice. To me it looks like she's scolding/lecturing him, which is something I've only seen a Dachshund do (seriously it's too funny, whenever I see it happen I imagine Sally wearing a little dress suit or something else anthropomorphizing in nature). Being the burrowing dogs they are (I think they were bred to catch badgers underground or something like that), they usually sleep under a mountain of covers, or in something akin to that (the dog pictured above on the right, Chester, used to have a little lair underneath my mother's bed...who knows what sorts of things he hid under there, we still haven't checked). Two more things (though I'm sure there's far more to talk about); Dachshunds don't like being insulted. I once called Sally fat, and I could literally see the tears forming in her eyes as she tucked her head away in shame. It could just be the tone of how I said it, but I swear I could see the hurt in those big sad eyes (Dachshunds pretty much always look sad, unless they're extremely angry or happy). Lastly, and this one's a bummer, Dachshunds are pretty much impossible to train. This goes back to their stubbornness. It ranges from telling them to sit, to teaching them to do their business outside. The only thing I've been able to get Sally to do is shake my hand, and she only does that when she knows food is around. At 14 and 11 years old, my Dachshunds should have learned that doing number one and two inside the house is a bad thing a LONG time ago. Unfortunately, while they do go outside the majority of the time, they couldn't care less about ruining our floors. Indeed, if they're feeling lazy and don't want to make the physical effort to go out the door, they'll pee right then and there, mere inches away from the backyard. It's ridiculous! This is why you don't want to get a Dachshund on your bad side, because if you do, they'll target you with their urine. By that I mean that they'll scout out whichever room it is you reside in most (usually your bedroom), and will pee or crap on your floor to their heart's content. I know this because Chester used to do this to me all of the time. It got so bad that I had to close my door whenever I left my room, because if I didn't, he'd waltz in and leave me a steamy, smelly message. Oh, and before I close, I'll just say that Dachshunds can be extremely loyal, often to a fault. The reason Chester hates me is because he's attached to my mother at the hip, never leaving her side when she's around. Sally is less codependent, though she usually follows my Dad around. So, important note if you ever get a Dachshund: spend as much time with them as you can in the early stages of their life; it's the only way to assure that they'll become attached to you. If you don't, they'll always hold a certain amount of disdain for you, which isn't always fun, as I can attest to! All that being said, Dachshunds are amazing little beasts and I wouldn't trade my two in for any other breed, despite their sometimes insane tendencies. Hopefully current Dachshunds owners nodded a lot and laughed while reading this, and others were convinced to go get one! Until next time...arf arf!